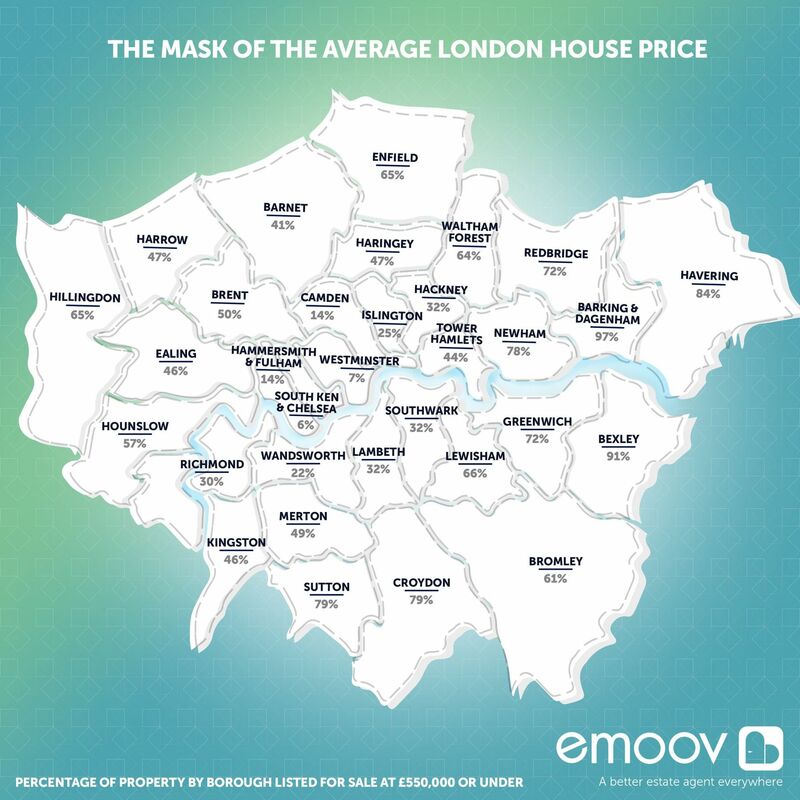 Leading fixed fee estate agent, Emoov.co.uk, has released its latest research into the London property market, looking at the mask of the average London house price and just how many properties across the capital are for sale at £550,000 or less. With London now exceeding the half a million price tag for the average property, living in the capital is as unaffordable as ever for the aspiring homeowner. Emoov analysed current stock levels across all of the major portals, recording the total levels listed for each London borough, before comparing this to the level of stock listed for £550,000 or less. Emoov then took the total stock under £550,000 and recorded it as a percentage of the total level of stock across the capital. 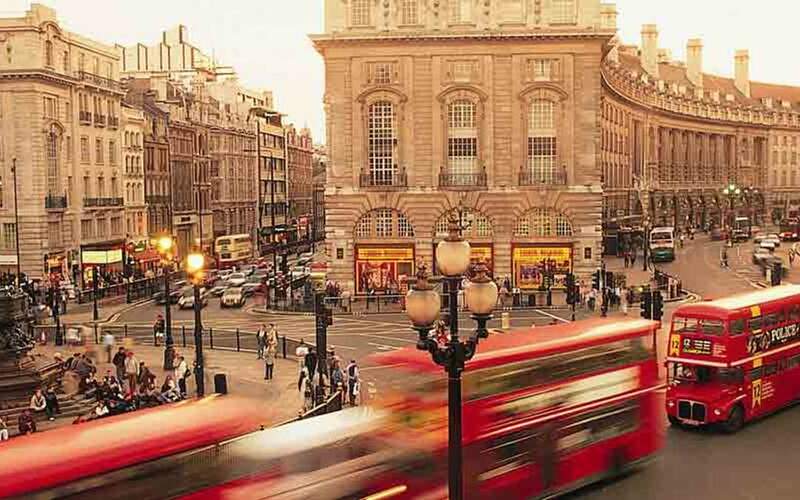 The research shows that in total less than half (46%) of the stock listed across the capital is for sale at the average London house price or less. London’s five worst offenders where affordability of stock is concerned, were for the large part, from prime central London also accompanied by Westminster. Just ¼ or less of the properties for sale in Kensington and Chelsea (6%), Westminster (7%), Hammersmith and Fulham (14%), Camden (14%), Wandsworth (22%) and Islington (25%) are listed at £550,000 or less. A further 13 of the capital’s boroughs had just 50% or less of its stock listed for the average price of £550,000 or under. The boroughs that did offer hope for those with a budget of half a million were Hounslow (57%), Bromley (61%), Waltham Forest (64%), Enfield (65%), Hillingdon (65%), Lewisham (66%), Redbridge (72%), Greenwich (72%), Newham (78%), Croydon (79%), Sutton (79%), Havering (84%), Bexley (91%) and Barking and Dagenham (97%). It’s no surprise to anyone that the majority of London is unobtainable to many from a property point of view. However, this research highlights just how out of reach the capital actually is for UK home buyers, even for those with the sizable budget of £550,000. When you talk about the average cost of buying in the capital being over half a million pounds, the mind really does boggle. Regardless, for many the average house price is a benchmark, a mile stone, on just what they need to have in the bank to live in a certain area. But this average price masks the true cost of living in the capital or even where in the capital you can live for that matter. When you consider that even with that sort of healthy budget, you would have to restrict your property search by removing more than half of the properties currently for sale in the capital, it really highlights how little £550,000 can get you in the London market.